This doesn't need a long introduction. It's nothing fancy. It's punch and it's good. 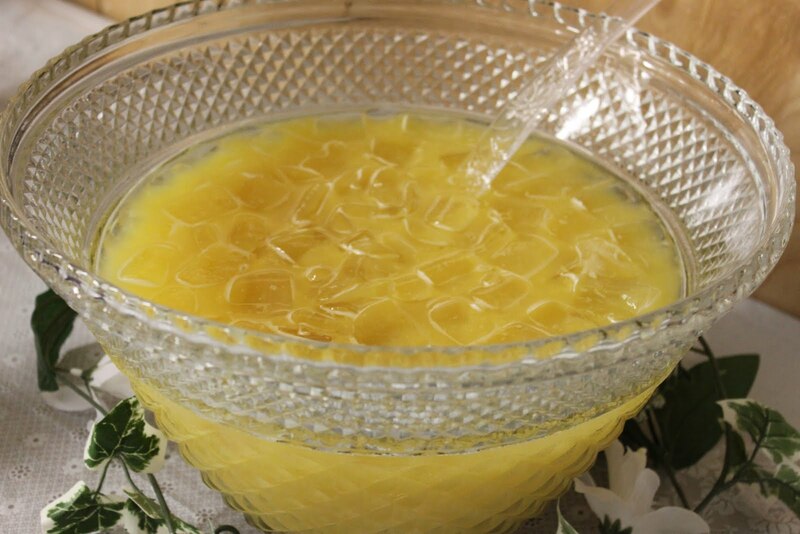 And, the most important thing that you need to know about this punch is that it's thirst-quenching unlike sherbet-based punches. I do love sherbet punches, but they always leave me thirsty. I'm just quirky that way - milkshakes make me thirsty, too. Oh, and for all the moms out there, here's another selling point of this punch. It's yellow so it's easier to clean up than a red punch should it spill or splatter. I know you know what I mean. In a punch bowl, add the orange juice concentrate and pineapple juice. Stir until well blended. Carefully pour in the ginger ale and stir. Add ice. Ooh does that look yummy! I just might make a batch 'just because'! oh that sounds like a great punch! i'm going to have to try this...not i just need a reason to have a party!